Above is the Kickstarter video for the GoCache geocaching card game, by Tortoise and Hare Creations. 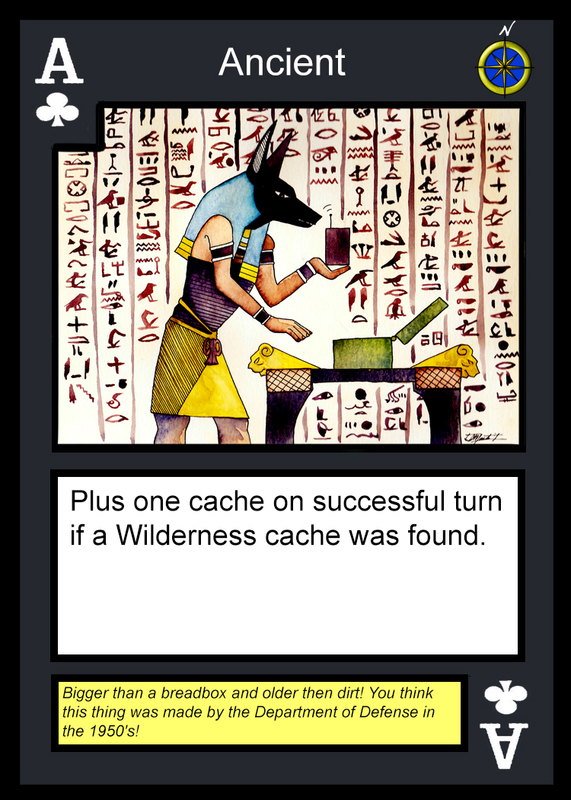 The Kickstarter campaign for this geocaching themed card game was just launched today, Thursday, October 9th, 2014, at 4:00 Eastern Time; just a couple hours before this blog post. You can see they are already well on their way to their $1,500 funding goal to make this game a reality. Before the campaign kicked off, Tortoise and Hair Creations (hereafter known and THC), were nice enough to answer some questions about the game and the campaign for this blog via email. 10/14/14 UPDATE: Geocachers have been showing the GoCache Kickstarter campaign some serious love! Their initial goal of raising $1,500 was reached in an amazing 6 hours. Note the “stretch goals” they have set, about about 1/3 down their Kickstater project page. 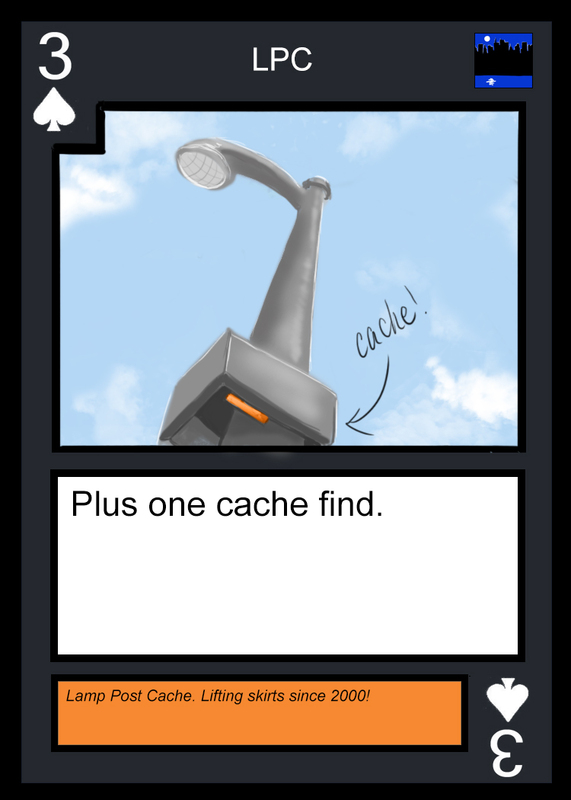 Over $2,000 has now been raised, and the first stretch goal (a custom icon for the trackable on Geocaching.com card) has been attained. There are still 25 days for you to get in on this very popular Kickstarter project. OCNA Blog: Who are the people behind Tortoise & Hare Creations? THC: Tortoise & Hare Creations is William Billman (eXtremeJeep) and Indi Martin (Starbuck2011). In 2011, Indi and William met while hiking the Appalachian Trail. They quickly discovered they shared a lot of the same interest, eventually deciding to collaborate on some projects together. One project turned into three, and eventually Tortoise and Hare was formed to keep them all under the same roof. 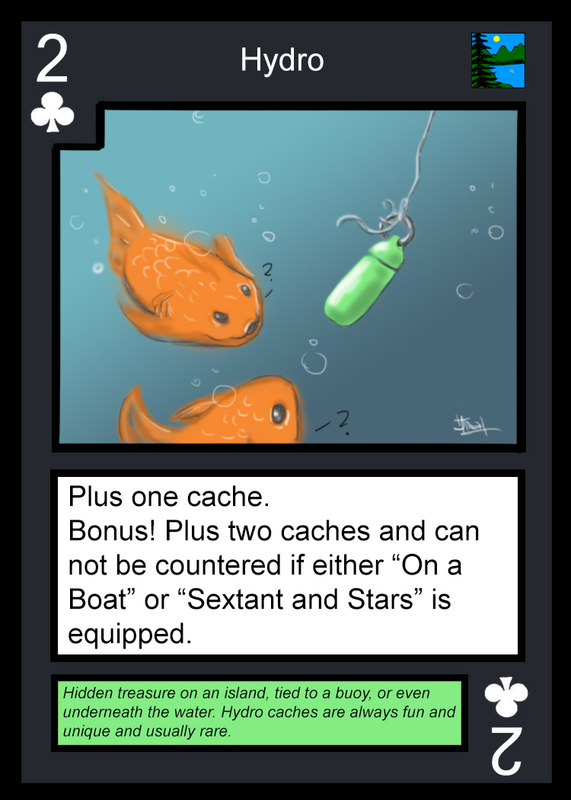 OCNA Blog: Has T&H Creations been involved any other projects besides the GoCache card game? THC: Yes! We have a variety of comics we’ve published – Dissolution, Cobalt, Fern Sea Chronicles, and we recently acquired the license to create a prequel comic treatment for the upcoming fantasy rpg Shroud of the Avatar. Indi penned the Gina Harwood series of novels, a police procedural series with deep horror/supernatural roots, the third of which should be released early 2015. Also, her paintings have been featured in several products, including an upcoming Pathfinder supplement called “Veranthea Codex,” which we’re pretty excited about! OCNA Blog: How was the idea born for the GoCache card game? THC: Will – already an avid geocacher – introduced Indi to the hobby, and we’ve been caching together ever since. One night when Will was having trouble sleeping he wrote out the original outline to the entire game. Happy with the way it turned out, he created the original copy of GoCache written out on index cards. We used those to test the game in house. After a few years of bouncing it around and showing it to people, we finally decided to make it a reality. Indi moved it to the top of the priority list and began the arduous task of producing fifty two original pieces of art for the game. OCNA Blog: Is there any particular Geocaching related game out there that inspired you? THC: Not geocaching related. We both are avid board and card game players, and used a few of our favorite card games as inspiration for design and playability. OCNA Blog: From what we understand from interviewing people behind other crowd funding campaigns, with Kickstarter you will NOT get the money if you don’t reach your goal. If the unthinkable happens, and you do not meet the goal, what are your plans for the project? THC: That is always a concern, but we’re confident that the project will fund. If it doesn’t, it will take some additional time and a lot more cost, but we’ll have the product available for next year’s GeoWoodstock. But for now, we’re staying positive! We believe that the backer levels are extremely reasonable, and have worked really hard to deliver a ton of value at each tier. OCNA Blog: Can you briefly describe how the game works? 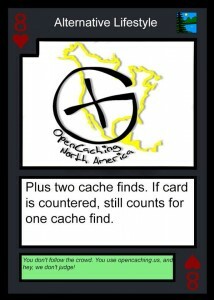 OCNA Blog: Besides using the cards for the GoCache card game, we understand you could use them as a regular deck of playing cards? THC: We wanted to create a game that paid homage to our favorite shared hobby, but we also wanted something streamlined that we (and others) could take with us anywhere. As long-distance hikers, we’re always subconsciously looking for things that serve multiple purposes, so Will was adamant from the start that the game should double as a traditional deck of cards. OCNA Blog: Thanks for the OpenCaching North America card (and it’s a funny one too). Any other cards you can divulge at this time? THC: Sure! 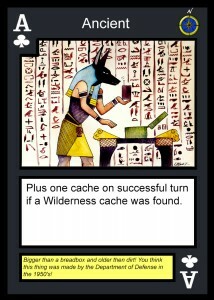 Here’s an example of an urban cache, a wilderness cache, and one of our GPSr cards. NOTE: See the OCNA card and those 3 at the bottom of this post; and click to view full size in a ligthbox window. OCNA Blog: Assuming a successful campaign, when will the games be ready for shipping? Are you going to sell it yourselves, or use distributors? THC: We’re shooting for a shipping date that will get us into homes by Christmas for our Kickstarter backers. At the moment, we’re planning on selling it ourselves, but we’re not closed to the idea of wider distribution. We’ve already had one request for localization to some European countries, and we think that’s a fantastic idea! But none of those ideas can come to pass unless the Kickstarter funds, so please consider pledging and getting in on the ground floor for what we think is a fantastic game!